THE FEATURE IMAGE IS LASER CUT FROM 3MM CORTEN STEEL. THE 6MM ALUMINIUM PANEL HAS AN ETCHED IMAGE OF AN ICONIC IPSWICH SCENE. 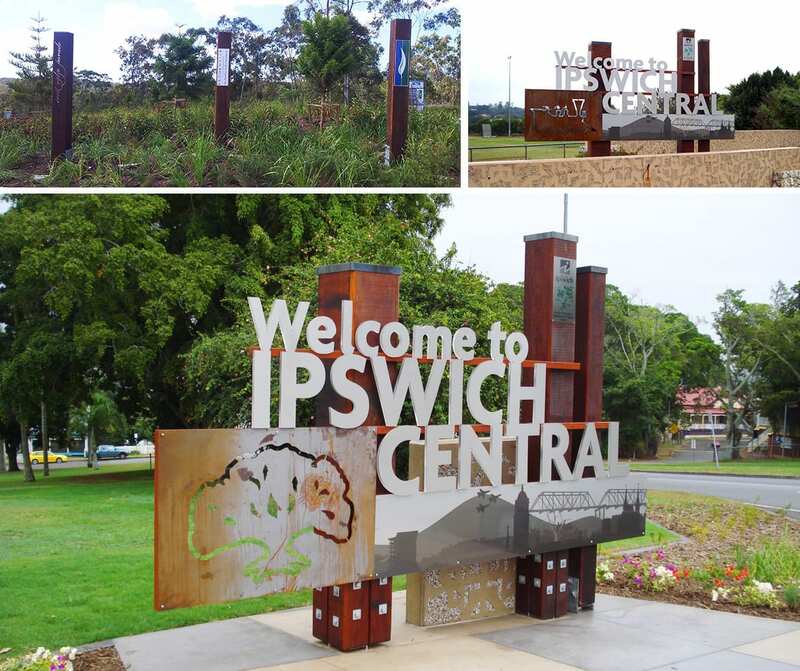 For this project we manufactured 3 signs from architectural drawings provided by Ipswich City Council. Each sign is supported by 50mm steel frame attached to 400mm x 400mm treated hardwood posts. The feature image is laser cut from 3mm Corten steel. The 6mm aluminium panel has an etched image of an iconic Ipswich image. 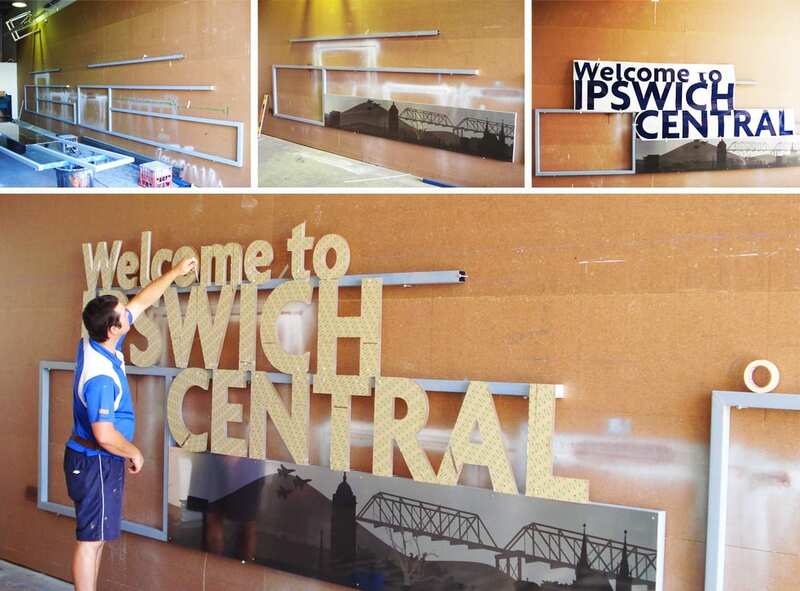 The lettering “Welcome to Ipswich” is 20mm clear acrylic laser cut with a 2mm brushed stainless steel face. These signs were then installed in 3 different locations as you entered into Ipswich town. IPSWICH CITY COUNCIL HAS TEN DIVISIONAL COUNCILLORS AND A MAYOR. Council elections are held every four years and each councillor is elected to represent a specific division. All Ipswich voters elect the Mayor.